Hopefully no one is too upset with my paraphrasing of Dr. Martin Luther King, Jr.'s famous quote. Although, I have to say, our euphoria at getting our passports back from the Department of Immigration with the Permanent Resident stamp in them felt quite uplifting and liberating! Residents at last! Residents at last! Thank God almighty, we're residents at last! Two years and here we are. Wow! 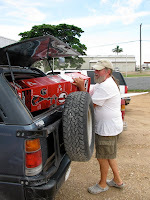 It took us a while to get organized - even before we started from Corozal. Oh, we got underway sharply at around 7:00 AM, like we'd planned (hoping to miss the many school buses since this was the first really big day of school). Then we had to stop at their "guarantor's" shop up on the highway (essentially acting as their sponsor). 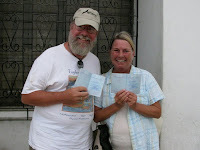 Doug and Twyla had used his Belizean passport as the document on their Surety Bond form guaranteeing that he was a Belizean and that he would make sure they got plane tickets out of the country should they turn out to be deadbeats anytime in the next three years. We already had the document (votor registration card) from our guarantor. A short digression here... The reason we had to bring the original documents with us today, even though a Justice of the Peace had already looked at the documents and the folks who owned them and certified on the Surety Bond form to that effect, was, as it turns out, that apparently the Department of Immigration has had problems country-wide with Justices of the Peace not certifying the validity of documents the way they are supposed to. So Immigration wanted to see the documents themselves, just to make sure. And so, we brought them with us. Back to the story. Even though we had left early, we waited at the shop for about 20 minutes for their guarantor to arrive with his passport. So, we actually got underway at the time we would have normally left for Belmopan - 7:30 AM. Uneventful trip over. Of course, there was some drizzling rain, as there is every time we head over that way. Once we arrived at the market place parking lot across from Immigration, we all had to make a pit stop. Being somewhat older and more mature, that's just what you do. After the crew got rounded up, we all headed in. Here's me and Dianna leading the charge into the building. The Immigration desk that you would need to go to for all this is in the right-hand side door of the building. I'm not even sure if you could get where you need to go by going in through the front doors. Once we got inside, we were taken care of right away. We got our passports and barely took time to shake the clerk's hand and thank her for all her help before we shuffled outside again. And, just to prove that we done did it, here's our passports with the Permanent Resident stamp proudly displayed as we stand in front of the Immigration Building. 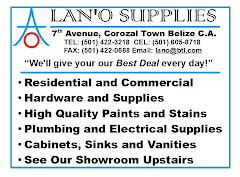 Just so we didn't waste a trip over to Belmopan, of course we had to do a little shopping. Doug tried to hit the bank cash machine. 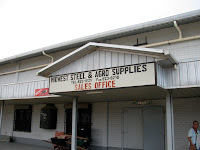 Naturally it was out of order, so we just went on to Spanish Lookout, where I had to pick up a weed whacker (a Troy Bilt 4-cycle string trimmer) and two liter bottles of gasoline stabilizer and conditioner - one for me and one for another friend, Earl) from Midwest Steel and Agro. 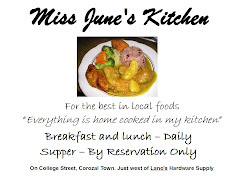 They've just started an online shopping experience, so our picking the order up was a new and novel experience for them. We had lunch at the Golden Corral, where we've eaten before. Dianna and Twyla both had fried chicken, while Doug and I tried pirogies. He had a large order, and I had a regular one. Pirogies are a filled dumpling, in our case, filled with cottage cheese, and smothered in white gravy. Quite good and filling. After that we stopped at Trader's Market, kind of a grocery, dry goods, hardware store where we bought some necessaries. 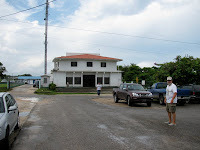 Then, our last stop before heading back to Corozal, was a stop at Western Dairy. 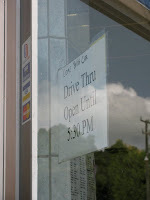 They have a drive-through window where we ordered one scoop of chocolate ice cream for Dianna, and Doug and I each had vanilla shakes - mine I ordered malted. Mmmmm, delicious! "Come With Car". Does that mean they won't serve you if you walk up? I'm going to post a detailed article of the whole process of obtaining our residency with the whole time-line, since there's so much mis-information and just plain wrong information out there about this whole process. 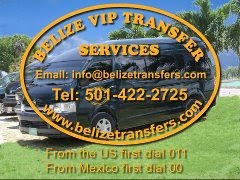 Of course, depending on who you have to deal with, probably, like a lot of things here in Belize, your answers could be different, so "your individual results may vary" is more true than anything, and if there's a change in government administration, that may affect what the process is. Anyway, look for that to be coming up. Congratulations to all four of you. You are correct in your assumptions Dave, our experience was different yet again. However, when you come down to visit, make sure it is after October and we will treat you to Tutti Fruitti ice cream. Congratulations to you all. 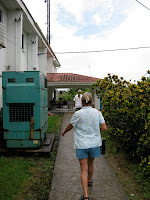 Amusing about the "deadbeat insurance" the government of Belize requires you have in place. Not actually a bad idea in general. 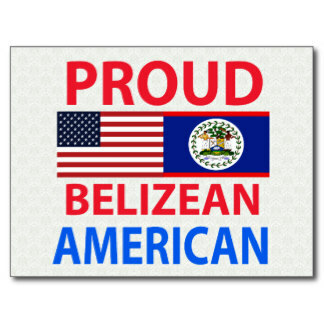 Now you can be on official Belizean time. BBB - Wow! Tutti Fruitti - How can we pass that up? Vivien - I never thought of it that way - deadbeat insurance, is exactly what it is. P&M - If we get much slower, I'll have to find reverse on the shifter. Thanks everyone - from Dave and Dianna, Doug and Twyla. 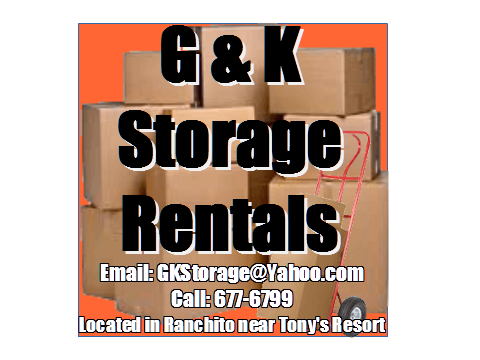 We're not just residents, we're Permanent Residents. Congratulations to all of you... what an experience. I don't have the patience now so I guess I would learn through the process should I embark on the same course. I have a dumb question: When does your passport expire? And when you get it renewed / replaced / updated then what happens to the stamp? I hope you only have to make another ride down country to get a "restamp". Inquiring people (nosey, snoopy, etc.) are just curious. *grin*. 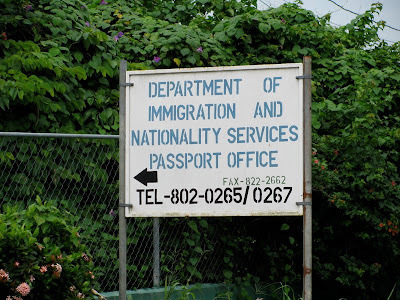 Passports expire in another 8 years. We'll have to fairly soon head back over to Belmopan to have more pages inserted into the passports. I think they can do that two times, depending on passport condition. With a new passport, as I understand it, we bring both the new and old passport to immigration, and they simply stamp the new one. Of course, it probably means leaving it for a week or so, as the Director needs to sign the stamp just like for residency stamp we just got. Thanks to Sandy and Texican. We appreciate it. Thanks for the info. I was just curious. I am always wondering about useless stuff. For example, we are being annexed into the city of Spartanburg this fall. No one can tell me if my address will change. Right now it says Moore, SC -- is it going to become Spartanburg, SC. If not isn't that kinda strange, paying city taxes and not really living (according to the Post Office) in that city... Oh well, see what I mean. p.s. Congrats again... PERMANENT RESIDENT... has a nice sound.